Your inbox is a consolidated view of all your important conversations in Front that need your attention. A conversation can be in your inbox for a variety of reasons — it's assigned to you, you're @mentioned, or there's new activity in a conversation you're subscribed to. When you archive, snooze, or mute conversations from your inbox, it doesn't impact other participants in the conversation. You can clear out your inbox without archiving the conversation for other participants by mistake. 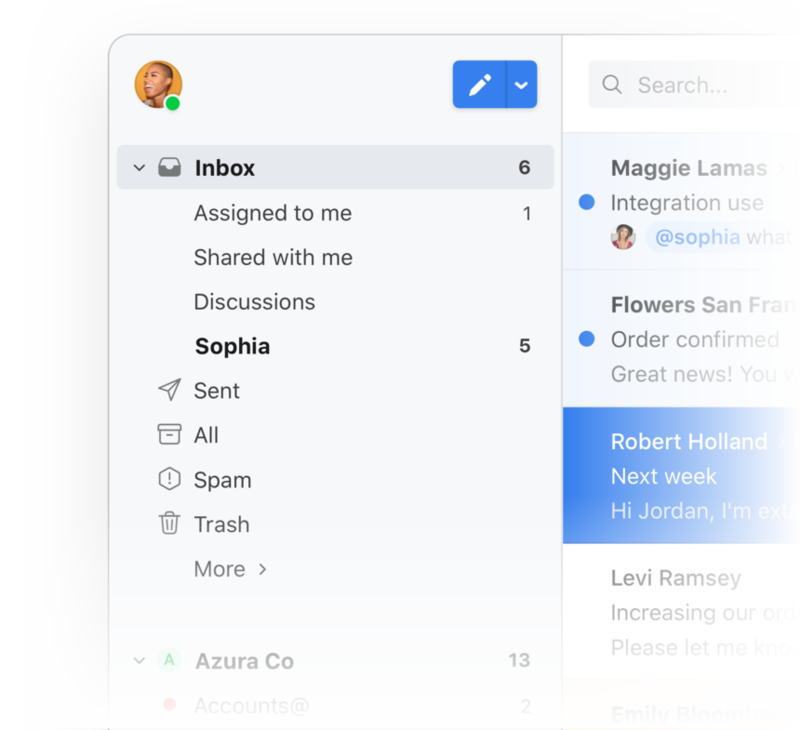 Your inbox is a consolidated view of all the conversations you're participating in: whether they are assigned to you, you've been @mentioned or invited, or you've subscribed to see updates. Click Inbox to view open conversations in each section all at once, or click on each section to view them separately. When any conversation is assigned to you from a team inbox or individual inbox, it will show up here until you archive or snooze it. Being @mentioned or invited to a conversation will add it to this section. If you send a reply, post a comment, or subscribe by clicking the bell icon, then all new messages and comments will cause the conversation to bump up in this section so you can see new activity. If you don't subscribe, then it will stay archived even when there's new activity. [Coming soon] Any internal discussions that you've been invited to will be found here. New comment activity in the discussion will cause them to unarchive and bump up in this section until you mute them. If you've added your private work email as an individual inbox in Front, those messages will arrive here. They'll be private by default unless you share your individual inbox with a teammate. You can share messages one at a time by @mentioning a teammate or inviting them in the participants menu.